FREE! *** BRING THE KIDS! *** GRATIS! Join us Saturday November 15 (10am – 2pm) for Wonderful Water: A Neighborhood Festival at The Farmer’s Yard in NW Pasadena. Artists, scientists, gardeners, naturalists, musicians and poets will inspire and challenge us to consider the life-sustaining importance of water. * see tiny river creatures under a microscope! Add a water memory to the Raindrop Tree. who operate the Farmers Yard and The Trailer Trash Project is a sponsored project of the Pasadena Arts Council’s Emerge Project. Join us Saturday November 15 (10an – 2pm) for Wonderful Water: A Neighborhood Festival at The Farmer’s Yard in NW Pasadena. Artists, scientists, gardeners, naturalists, musicians and poets will inspire and challenge us to consider the life-sustaining importance of water. Adults and children will be invited to enjoy a glass of water, listen to live music and add their water memories to the Raindrop Tree. The Trailer Trash Project is a sponsored project of the Pasadena Arts Council’s Emerge Project. 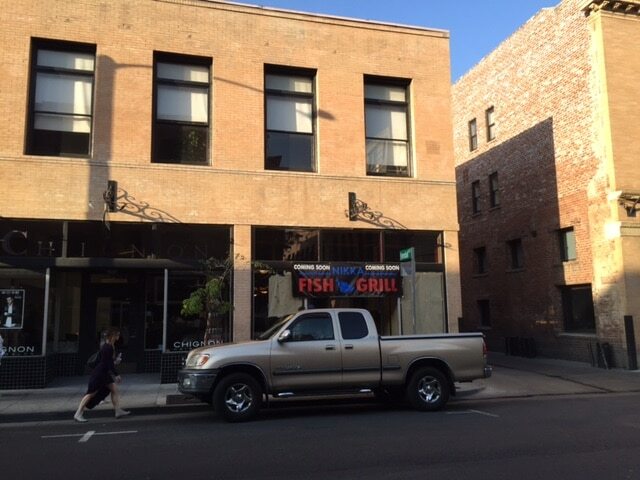 Nikka has a location in Goleta, so this will be a welcomed addition to Pasadena, in need of a good seafood fresh fish restaurant. Yelp reviews are 4 stars average for the Goleta location. The Costco Health Insurance Marketplace is an easy to use health insurance exchange that has been built to help members shop, purchase and enroll in a plan. Use the marketplace to determine eligibility for federal premium subsidies, compare plans with Costco value & apply for coverage. The Annual Enrollment period for individual consumers begins November 15th and will be open until February 15th. You can only buy individual insurance outside of open enrollment if you have a qualifying life event such as marriage, birth or adoption of a child, or loss of other health coverage.To learn more Click below or call us at (855) 332-3821 to speak with a licensed representative. Wanted to share this upcoming event. Mark your calendars. It is sure to be a great event. Big news in Artisanal LA land… our beloved holiday shopping event is back and it’s big. Get ready to eat, drink, shop and be merry with us! 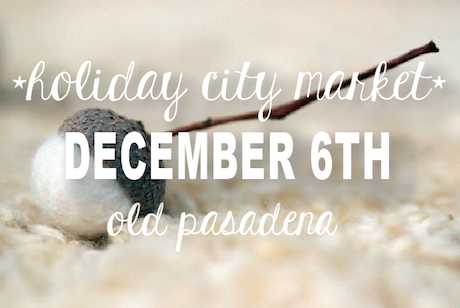 Artisanal LA Holiday City Market in Old Pasadena on Saturday, December 6th from 11am-10pm. The Holiday City Market will take place throughout Old Pasadena on the city’s idyllic tree lined streets and cobblestone pedestrian alleyways including Holly St, Mercantile Alley and Mills Place. Shop a curated selection of 150 of our favorite Artisanal LA makers plus some of the area’s 150+ independent shops, restaurants and cafés for one incredible all-day European market inspired local shopping experience unlike anything in Southern California. Vendor applications are open now through Saturday, November 15. Read through our Vendor FAQ for more about this new event. PAY 2 PLAY follows filmmaker John Ennis’ quest to find a way out from under the Pay 2 Play System, where Politicians reward their donors with even larger sums from the public treasury — through contracts, tax cuts, and deregulation. Along the way, he journeys through high drama on the Ohio campaign trail, uncovers the secret history of the game Monopoly, and explores the underworld of L.A. street art on a humorous odyssey that reveals how much of a difference one person can make. PAY 2 PLAY: Democracy’s High Stakes is the layman’s guidebook to taking back our democracy. Pay 2 Play will be screened by the Conscientious Projector monthly film series, in association with the Armory Center and sponsored by Sustainable World, a Peace and Justice Ministry of All Saints Church. for a party with real purpose. *All of Matthew’s and the Chefs’creations will have an edible native Cailornia plant as an ingredient, curated by the TPF. Robbie Arnold-Star – Belcampo Meat Co.
the CCOF (California Certified Organic Farmers) Foundation’s Bricmont Hardship Assistance Fund. The Bricmont Fund helps support organic operations that have experienced drought and other natural disasters. Each donation will admit one guest and each guest will recieve a ticket for one of Matthews creations and six food tickets. 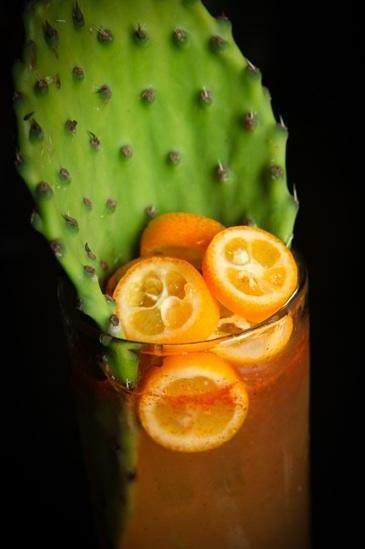 Drinks will be made by Matthew Biancaniello, and food will be provided by chefs from Alma, Red Bread, Cooks County, Union in Pasadena, Valerie Confections, and Belcampo Meat Co. All of the cocktails and dishes will have an edible native California plant as an ingredient. Google is introducing something new. It’s called Inbox. Years in the making, Inbox is by the same people who brought you Gmail, but it’s not Gmail: it’s a completely different type of inbox, built to fit your life. If you have a Gmail account, send an email to [email protected] to be put on a list. Inbox by Gmail is a whole new experience designed by the Gmail team to help you stay organized and get back to what matters. Learn more on the Official Gmail Blog. Bundles: Do you spend a lot of time organizing your emails? Inbox automatically bundles related emails (like Promotions) together so you can review and deal with them all at once. You can bundle your own labels too. Highlights: Inbox highlights what you need to know without even opening the message. This includes photos, events, flights, purchases, and more. Reminders: Have you ever sent an email to yourself to remember something? Now you can add your own Reminders to the top of your inbox to help you get things done. Snooze: Inbox lets you Snooze emails or Reminders until you want to deal with them: next week, when you get home, or whenever you choose. Inbox works with Gmail, so your messages, labels and filters (to name a few) will all be there. Inbox is not a replacement of Gmail, it’s a completely different experience to help you tackle the problem of how to manage your inbox. Also, you can search on ebay as there are invites being sold ranging from $15 to $200. Here’s the official video from Google on inbox. Rose Bowl Stadium to host first country music concert the summer of 2015. An agreement between Messina Group, a subsidiary of AEG Live. The concert will take place on July 25, 2015. 10 large events are scheduled for the Rose Bowl in 2015. Open Data – What’s it about? What’s a Civic Hackathon? City governments around the world have started to release public datasets that can help communities and businesses address issues in areas such as transportation, healthcare, and economic development. This informal convening will give city officials, application developers, thought-leaders, residents and academics in greater Pasadena a chance to learn and share what’s in progress and to explore questions that need to be answered to move forward together. Which City datasets are the most important? How are they being used? How should they be used? What are the elements that define transparency? What is the difference between transparency and open data? What “machine readable” standards exist? What needs to be done to standardize formats both within a city and across cities? What are the pros and cons behind a developing a regional Open Data Portal? What is a successful hackathon? Should the City host another hackathon next Spring? What could be the role of a city-based Open Data Meet-Up? Audience: Anyone interested in Open Data and its potential impact. Don’t know much about Open Data and Civic Hackathons? Come learn over lunch. The topic is relevant for anyone in the greater Pasadena community and beyond. Co-Hosted By: City of Pasadena & Open DataLA, a Project of USC Annenberg Center on Communication Leadership and Policy and the USC Sol Price School of Public Policy. This event is part of Innovate Pasadena Connect Week. Connect Week is a series of independently organized seminars, workshops, and social events unfolding in venues across the city of Pasadena throughout the week of October 20-26. Discover more about design trends, open data efforts, crowd-funding, emerging biotech, 3D printing, successful entrepreneurship, and innovation from industry leaders in the region. For more information and a schedule of events, visit www.connectpasadena.com. Innovate Pasadena is an all-volunteer organization committed to advancing greater Pasadena as a center of technology and design innovation by promoting collaboration across business and education to attract companies, entrepreneurs, innovators and capital to the broader community. For more information, visit innovatepasadena.org. The Human Services and Recreation Department and the volunteer Latino Heritage Committee invite you to join us for the Latino Heritage Parade and Jamaica on Saturday, October 25. This free family event draws over 1,000 participants and spectators. The parade beings at 11:00 a.m. and is followed by a celebration of cultural activities, food and dance from 12:00 to 4:00 p.m. The parade begins the intersection of Los Robles Avenue and Howard Street, then turns west on Washington Boulevard and culminates at La Pintoresca Park with a Jamaica featuring art exhibits, artisans, educational/historical displays, entertainment, food, community booths and much more. This year’s theme is Nuetras Mismas Raices/Our Common Roots celebrating the diversity of cultures within the Latino Community. Leading the festivities is Grand Marshal WBC Female Boxing Champion Mia St. John who has fought all over the world accumulating an unprecedented record of nearly 60 professional fights. In 2008, Ms. St. John fulfilled her dream of fighting in Mexico to become the WBC Female Boxing Champion of the World at the age of 40. Ms. St. John has dedicated herself to improving the well-being of Latino families through educational advocacy on the importance of fitness and nutrition. Her book, “The Knockout Workout” and fitness DVD, underscore the importance of maintaining a healthy lifestyle from an early age. This event also recognizes another distinguished Pasadena community advocate and long-time resident Community Grand Marshal Herminia Ortiz. Mrs. Ortiz has worked with El Centro de Accion Social and Villa-Parke Community Center on a variety of social programs and serves as a liaison between Spanish speaking communities and City and law enforcement officials. M. Ortiz has dedicated her activism to working together through positive discourse to promote social justice, long-lasting partnerships and meaningful change. PARADE REGISTRATION EXTENDED TO OCTOBER 20! Enter your group today! See forms below for more detail. All interested individuals, schools, organizations and community groups that wish to take part in the Latino Heritage Parade or Jamaica can do so by contacting Rozanne Adanto at (626)744-6530 or Yuriko Montes (626) 345-0708. NEW YORK, NY–(Marketwired – Oct 23, 2014) – Citi(R) Private Pass, Live Nation Entertainment and Yahoo today announced Backstage with Citi, a new exclusive behind the scenes interview web series on Yahoo Music (https://music.yahoo.com/live-nation-presents/backstage/). Citi is now an official sponsor of Yahoo Live, a pioneering music experience on Yahoo, including the Live Nation Channel which offers fans a live concert everyday for a year. The new series Backstage with Citi is an extension of Citi’s long-standing relationship with Live Nation. For nearly a decade, Citi has offered thousands of live events annually to their cardmembers through the Citi Private Pass program. Now, Citi is offering behind the scenes backstage access available anywhere, anytime and segments of the interview will be exclusively available on www.citiprivatepass.com for 48 hours before it posts on Yahoo. “Our customers love the access that we offer across live music and entertainment, and with Backstage with Citi we are able to pull back the curtain even further putting our cardmembers in the room with artists when they sit for a comprehensive interview with one of the nation’s top interviewers and on one of the most popular media platforms,” said Jennifer Breithaupt, Citi’s SVP of Entertainment Marketing. Yahoo News Global Anchor Katie Couric will interview a select number of artists who will be showcased as part of the series, giving Citi card members and music fans a glimpse behind the scenes with in-depth, compelling, interviews with some of the biggest names in music. Yahoo Music editor Lyndsey Parker will also bring Citi customers up close and personal with some of their favorite entertainers. Grammy(R) Award-winning superstar country trio Lady Antebellum will kick off Backstage with Citi when part of their interview with Katie Couric premieres Thursday, October 23 on Citi Private Pass. The band will be discussing their fifth studio album, 747, which was released September 30, 2014 by Capitol Records Nashville. The album captures the speed and spirit of its critically acclaimed live show. O.A.R. will be the second interview, the first with Yahoo Music editor Lyndsey Parker and will premiere in early November. Citi offers Citi credit and debit cardmembers access to tickets to thousands of live events annually through Citi Private Pass, the bank’s entertainment access program. In 2013, Citi offered cardmembers more than 5,000 music events, ranging from preferred tickets and early access to top concert tours to curated special events with Grammy(R) award-winners and VIP experiences including pre-show performances and Q&A. Last year, Citi sponsored the Rolling Stones’ 50 & Counting Tour mobile app. In addition, Citi presented “Katy Perry’s: We Can Survive” benefit concert and exclusive cardmember pre-show experience at the famed Hollywood Bowl. Other experiences have featured artists such as Lady Gaga, Band of Horses, John Mayer, Lady Antebellum, and more. For more information on this unique experience and upcoming events exclusively for Citi cardmembers, visit www.citiprivatepass.com. Don’t miss out on this great opportunity to experience and participate in some of the activities during Connect Week Pasadena. An immersive educational experience for people of all ages that will expose participants to the world of science through a series of hands on live experiments designed by the researchers and staff of Pasadena Bioscience. We will be working with microscopy, paper chromatography, DNA analysis, spectrophotometry and more so come help us find out Whodunnit and learn about the techniques behind the magic seen in your favorite television shows and movies! NOTE: CSI at PBC is a scheduled event with groups of up to 20 starting the process roughly every 2 hours beginning at 12:00 PM. All attendees who RSVP will receive an email on Wednesday, October 22nd listing available start times. If you have a have a preferred start time, please contact PBC at [email protected] to make arrangements. Connect Week is a series of independently organized seminars, workshops, and social events unfolding in venues across the city of Pasadena throughout the week of October 20-26. Discover more about design trends, open data efforts, crowd-funding, emerging biotech, 3D printing, successful entrepreneurship, and innovation from industry leaders in the region. Innovate Pasadena is an all-volunteer organization committed to advancing greater Pasadena as a center of technology and design innovation by promoting collaboration across business and education to attract companies, entrepreneurs, innovators and capital to the broader community. Milk Flight — milk tasting, 5+ samples, $2 only! Grand Opening Raffle – Get a raffle ticket for every $10 you spend at the Co-op. Big prizes of awesome organic, gluten-free, non-GMO groceries and personal care items. Shop more! Win Big! and at 5:30 Los Bustardos! GRAND OPENING PARTY will be THIS Saturday 10/25 starting at 3 pm. The Mayor of Pasadena will join us to celebrate all the hard work everyone’s put into AFC, and we’ll show off all the exciting new additions to the store, including new refrigerators/freezers and a refill station. Fun and food for the whole family, too. Please spread the word with your friends by sharing this invite! Some startups we have been watching and reading about. We will post updates on these companies as more info becomes available. eddi.com https://eddi.com – eddi.com is a technology firm which is lead by a group of futurists, designers, developers, & dreamers. We are preparing to transform culture through commerce. eddi is a Public Benefit corporation that uses its resources to advance projects and infrastructure in what we refer to as, Hero Initiatives: The Science Initiative, The Earth Initiative, & The Human Initiative. Flux provides collaborative design software for the building design and construction industry. Headquartered in San Francisco, Flux is backed by DFJ, Borealis Ventures, Andreessen Horowitz, Google Ventures, and industry partners. Flux’s mission is to spread design knowledge and improve the accessibility of design tools in order to help meet the world’s demand for durable, sustainable buildings. Ginkgo LLC We are an expanding, technology-driven proprietary trading firm based in the Lake Tahoe area. Started by leading industry experts, we are looking for highly motivated, energetic individuals. Human-Engine is a startup founded by Caltech alumni in 2013. It focuses on Virtual Reality, Augmented Reality, creation of digital humans and related software IP. We also make games for platforms such as iPad and Oculus Rift and devices such as Kinect. Our main client is Intel. Humin wants to make technology feel more human, starting with your contacts. We’ve assembled an amazing team to help address the problem. Simply put, Humin is a replacement for the old phone app on your device. Think of it as a smarter, evolved phone that remembers everyone you meet in the way that you naturally think. No more scrolling impersonal contact lists. NodePrime is building the next generation platform for aggregating, analyzing and automating machines and the data they generate at scale. We are expanding rapidly to service huge customer demand for our product. OnPrem is a Southern California consulting and technology innovation startup. Founded in 2013 by four consulting industry leaders, we work with some of the most innovative companies in the world including major studios, large broadcasters and leading technology companies. “At Pinterest, we help people discover the things they love. Whether you’re passionate about graphic design, motorcycles, or old school records, there’s a place for you on Pinterest. Pivotal is enabling the creation of modern software applications that leverage big & fast data – on a single, cloud independent platform. Praedicat is a funded startup whose cloud-based SaaS product, CoMeta™, pushes the limits of scalable risk modeling and big data. Our multi-disciplinary team uses advanced machine learning algorithms and technologies to blaze trails in forward-looking, science-based analytics. We help our clients manage emerging risks, and make the world cleaner, healthier and safer. Quantiacs is a platform for crowdsourced quantitative trading systems. We connect our users’ trading systems with private and institutional investors and share a performance fee with the developer. “Swenson He develops high-value, high-impact mobile app solutions. Tinder gets billions of swipes per day and has generated tens of millions of matches! We are looking for creative and passionate people to join our team. We are tackling massive scaling challenges and building features that impact millions of people. A technology company currently in private beta. Unite is based out of Los Angeles with offices in Montreal and Toronto. The team is very experienced, ships product at substantial rate and growing incredibly fast. If you want to build disruptive technology, solve complex problems and work with amazing clients, lets talk. Located in sunny Santa Monica in a lofty dog-friendly office, Walla Media is a marketing agency that helps Fortune-500 branded clientele generate leads through its sophisticated marketing tools and proprietary technologies. We’re looking for pro-active full stack Web developers to add to our incredibly dynamic and talented Agile team. Whisper is an anonymous social network that is revolutionizing the way millions are interacting and expressing themselves online. At Whisper, we believe you can only truly be yourself when no one else is watching, so we’ve built a cloaking device for your thoughts. Untraceable, invisible, no restrictions: The first fully free and open forum where you can speak your mind without fear. Finally. Here’s the official Apple release notes on iOS 8.1. The All-New Panda Express App. Enter the promo code “NoLine” during checkout. Get your FREE entree item by first selecting any items for purchase. Add your free entree item after building your meal or from the A La Carte menu. Then, enter the promo code “NoLine” on the checkout screen. Panda Express Free Entree w/ Any Purchase when you enter promo code NoLine during checkout. You will save appprox $3.50 from your total order. Valid only online through pandaexpress.com and mobile app. Promo code expires after first use. Promotion ends on December 31, 2014. *Single serving. While supplies last. One coupon per person. Not valid with any other coupon, discounts or promotions. No cash value. Valid only online through pandaexpress.com and mobile app. Promo code expires after first use. Promotion ends on December 31, 2014. Carbonite Online Backup. Unlimited backup–secure and encrypted, for just $59.00 per year. Start your free trial today! With nearly 200 billion files backed up and counting, Carbonite is a leading provider of online backup. Now, you can benefit from promoting Carbonite’s secure, online backup service to those seeking backup for their home, home office or small business computers. Carbonite Personal, Carbonite Pro. Carbonite Personal plans are recommended for individuals and families who want unlimited online backup, to protect their photos, music and documents. Carbonite Personal offers three great plans—Basic, Plus, and Prime—catering to a wide range of back up needs. Carbonite Pro offers three plans—Basic, Plus and Prime—all of which are optimized to support an unlimited number of computers with simple, safe and secure backup, no matter where those computers are located. Carbonite Pro does not charge per computer; instead, business owners pay a flat, annual fee, based on the amount of storage their business requires. The Air & Style Company promotes all Air & Style events worldwide and the brand Air & Style.